Dubai: In a span of six years, nine-year-old Eliza won a luxury car and became a multi-million-dirham millionaire. 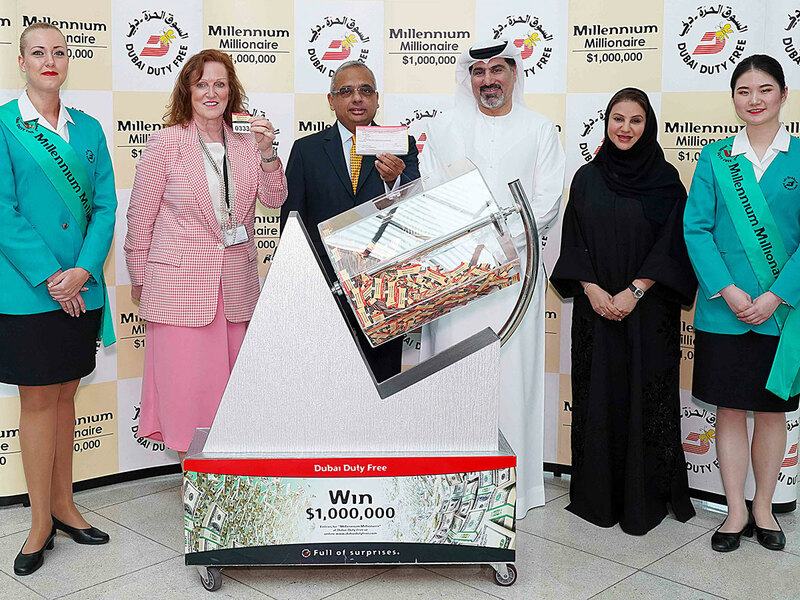 The grade school student from India was picked as the winner of the $1 million (Dh3.6 million) jackpot of Dubai Duty Free Millennium Millionaire on Tuesday. Not too long ago, in 2013, she had won a McLaren Coupe. Her latest lucky ticket, bearing numbers 0333, was purchased for her by her father, identified only by raffle draw organisers as Mr. M.
Eliza’s parent has been living in Dubai for 19 years and has been buying coupons for the millionaire draw for quite sometime now. It was only recently that Mr. M. decided to buy the ticket under the name of her daughter, who just turned nine, because he thought nine is his lucky number. But this isn’t the first time Eliza has brought luck for the family. In January 2013, she won a McLaren Coupe in Dubai Duty Free’s draw with ticket number 1867. At that time, the posh vehicle had a base price of more than $268,000 or close to Dh1 million. The grade school student is the 140th Indian national to bring home $1 million since the Dubai Duty Free started the campaign in 1999. “I’ve been buying tickets for $1 million promotions since Series 43, and in fact, I have kept that ticket all this time. I never missed buying a ticket for every series including the Double and Multi-Millionaire Promotions,” Eliza’s father said.